A screaming Meryl Streep, 80’s one-hit-wonder sensation Rick Astley, and the kids’ television show LazyTown. First impressions won’t help in figuring out the connection between the items on this list, unless, that is, you know your memes. 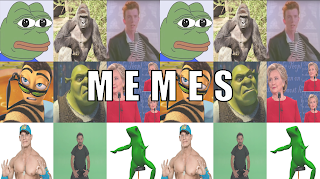 The word meme was first coined by Richard Dawkins, a British scientist, in his book The Selfish Gene (1976). 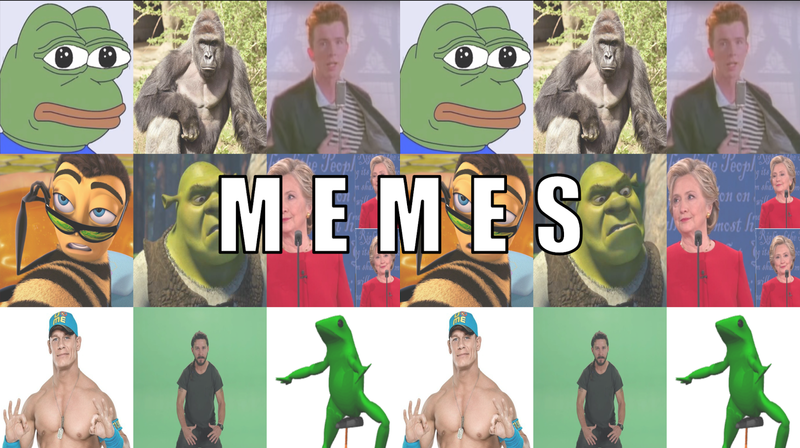 Back then, the word meme meant “a unit of cultural transmission.” Its current definition is still true to its roots, but Internet memes, the focus here, are a little more specific. While still allowing the vague freedom associated with previous definitions, the Merriam-Webster description takes into consideration the visual aspects brought forward via the Internet’s nature. But to some, technical definitions don’t truly capture the essence of memes. Looking at context of memes is important in understanding them, and a large part of that stems from where we find memes. For connoisseurs Eldredge and Purvas, there’s a big difference in the where, but not in the why. Eldredge gets most of his memes from Facebook site communities dedicated to memes and video games (Melee Hell in particular was brought up several times). Purvas prefers mobile apps like Instagram and iFunny. Both are able to reap the benefits. It’s also the easiest way to make friends, and no one knows that better than Eldredge. “Me and Ryan, we bonded more over memes than actually being friends.” He looks beside him at Purvas, who dabs slowly, as if to emphasize the point. “It’s like, literally this person would understand this completely, and so you share memes,” Eldredge summarizes.